I know this past week was a quiet week from the Woodward Spine but rest assured we have a lot of exciting content coming in the next few weeks. With that said I want to share with you an exciting purchase I made over the weekend from the Royal Oak Farmers Market. I’ve always enjoyed going to the market on Saturdays and seeing as I haven’t been in a while, was driving by and had an hour to burn I caved and did a walk through. I’m sure glad I did. 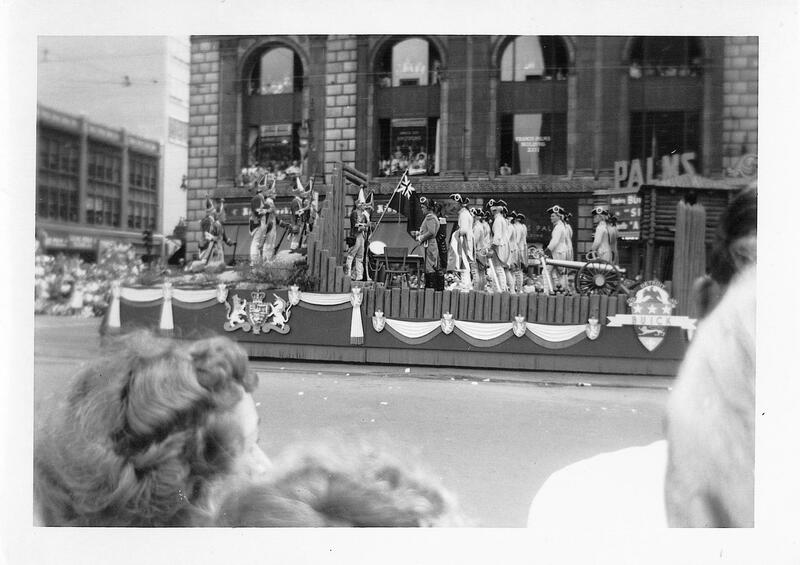 I shuffled through dozens of old photographs ranging from past presidents to unknown families. Every once in a while I would come across one that had a Detroit tie. Out of all the ones I passed I settled on these three. 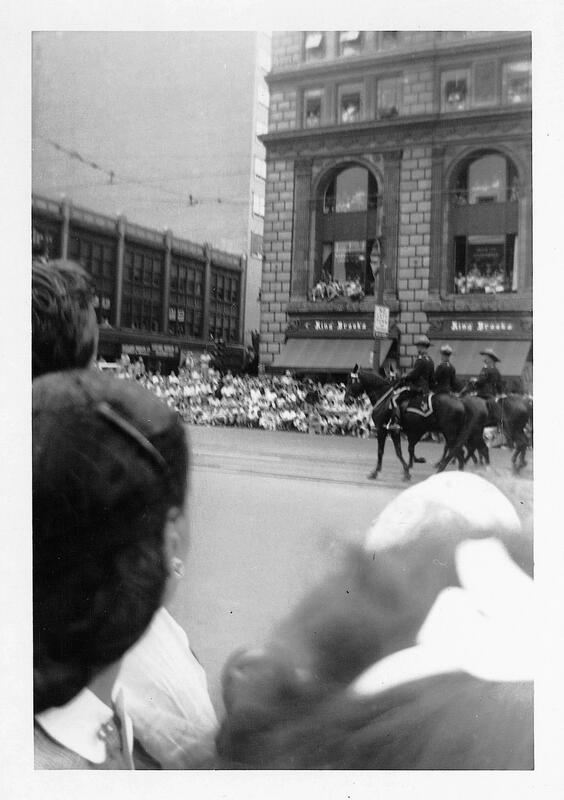 The three photographs seemed to be taken in front of the Palms Theatre (Palms Building) during a parade. You may know the building now as the Fillmore or by its more legendary name the State Theatre. What is most special about these particular shots are the view of the first floor of the building which has gone through renovations to drastically change what the architect intended the building to look like. This is the case for many of downtown Detroit’s older buildings. Some have been altered back to their original look. Judging by the marquee, the time period is early ’50s. The film being advertised is Sirocco starring Humphrey Bogart which was released in 1951. 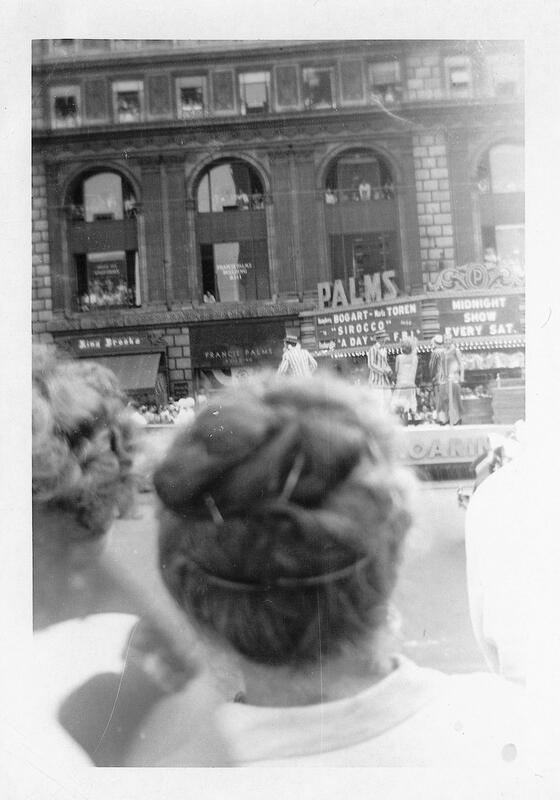 For more information and historic photos of the Palms Building and its theatre visit Historic Detroit by clicking here. This entry was posted in Detroit, Photos and tagged architecture, detroit, downtown, Michigan, theatre, woodward. Bookmark the permalink.